To soothe my parching lips. And they tell me I must drink and like it! Your burdens, then, will be lighter to bear. To acheive your goal despite every odd. Are the requisites that all of us need. Believe in yourself and be not dismayed! Take courage from those who have made the grade. And you'll reach the top of life's rugged hill. It rays and light will give you grace. No matter what your race or clime. Can also s tare him with a grim. If you must conquer, you must climb. Supremely over blight and cringing fears. The sacred cause advances to prevail. We'll march triumphant from this din and strife. Black Man, do you know who I am? My spirit flows through everything that stands. I am the foundation of what is, was, and what will be. If not for me mankind would not exist, no, don't look in the history books for you will not see. Black Man, do you know who I've been? The history of us as a people is one of stature and greatness, not filth and sin. My back has been broken again and again, yet still I stand tall. The power that flows through my veins topples the biggest walls. Black man, do you know what we can be? Not only can we once again achieve this level of greatness, but we must begin to re build the Black Family. We can no longer turn our backs on helping to raise our young. We must refer to our majestic past and strive to shine as bright as the sun. Black Man, do you know where we are? We are at a crossroads with the path to righteousness ever so close, but still too far. With love in our hearts and the fear of God in our minds. With the music of our souls, we shall rise. With rebirth and a coming of age We have arrived at this, our maturing stage. With eager renewal and ambitious drive, We keep the Dreams of Taylor, Morse, and Brown Alive; Exploring the caverns of uncertainty, We find Blueprints of the Past: Treading the oceans of negativity, We triumph with skills that shall for ever last. In Sigma we shall walk and talk with ever truthful tongue Bearing this special gift to treasure, We pass it to the old and to the young. Like a precious metal with polish applied, It will shine as bright as it was For What it Is, is What It will Always Be My Phi Beta, My Glorious Fraternity. 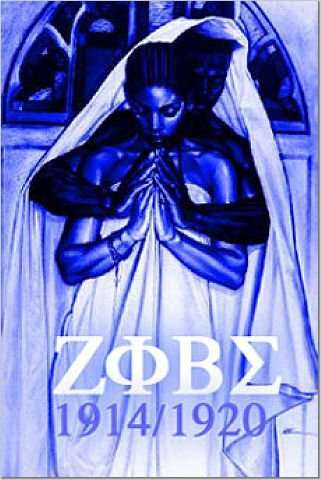 Shame on a Brother who does no work to help his chapter build, but he sits in his blue room, with blue lights, on his blue bed, drinks blue juice, wearing his blue letters, he chills. Shame on a Brother who shows no shame and learns to live with the stigma, Sigma taught him all he knows about time value, now he has no time for Sigma. Shame on a Brother who is a member, but not active and does not realize what’s at stake for when too many Brothers lean on the shield, the shield will eventually break. Shame on a Brother for he is not a true Brother when most needed, his pledging stopped. There is no difference between an inactive Brother, and another who pledged and dropped. Bro. Martin Roache Beta Iota Chapter Fall 1992 The Heart of A Sigma Man The heart of a Sigma is cunning, bold, loving, and true. Not red, pink, or green but the extravagant ROYAL BLUE. It's as beautiful as the sky on a clear summer night. The cresent moon and stars; the coalition of BLUE and WHITE. The heart of Sigma is challenged daily and is often misunderstood. But still won't be denied the title of the Epitome of Finer Womenhood. Our bond is inexplicable, there is none greater. The heart of a Sigma is none other than a ZETA. You nourished me from an infant child with your warm and tender touch, Never imagining, that even then I would love the Blue and White such; And as I grew older, I met another half the brothers I had never known, They opened my eyes and filled me with joy a world I'd thought moved on. Continuing a journey through joy and pain you never would let me stray; true Brothers and Sisters the Blue and White for me will ever stay. Through good and bad and weak and strong times we all eventually see, if ever you need a helping hand the Blue and White will always be. You learned the history of the Sigma man, said you were willing to give a hand. That doesn't mean sitting back, waiting for someone new to crack! If your heart is true to Blue, you'll start to help our persue. Get up, get out, get on your feet, it's time to hear a new heart beat. "Culture for Service and Service to Humanity" that is how we help our family. With our own: blood, sweat and tears, that is how we can end the fears. This is why I pledged my all, so that you don't slip and fall. But if you have what it takes, give your all...no place for flakes. The torch is passed to you my friend, please don't let the legacy end. 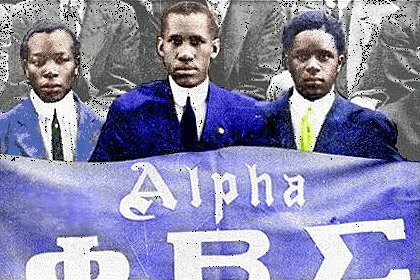 Brotherhood, Scholarship, and Service to mankind, through Phi Beta Sigma that's what you'll find. Now you know how I feel, the love I show you know is real. This fraternity means a lot to me, loyalty from me you'll always see. These poems are copywritten and were taken from the Sigma Light and Crescent Magazine.